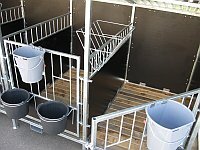 In our range of products we offer our customers individual calf pens which are designed for outdoor use. 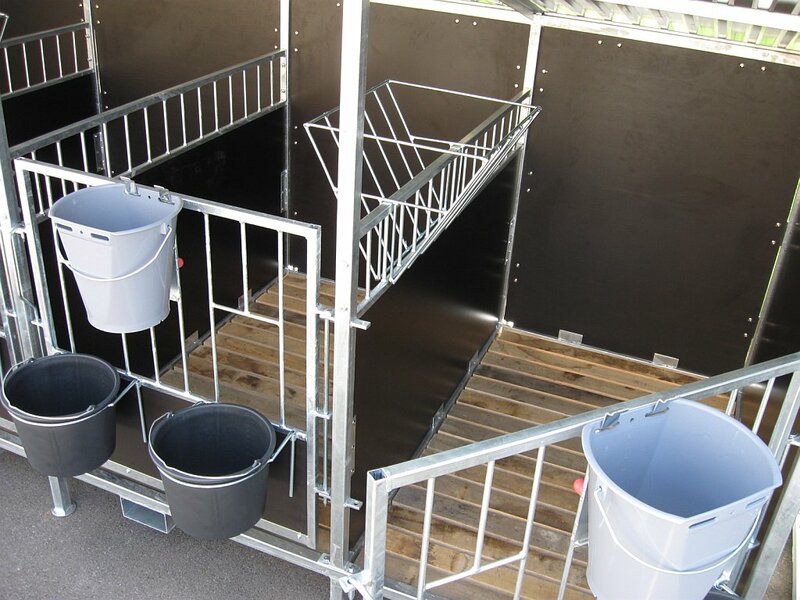 Our modular calf pens are composed of a strong, durable, high-quality steel structure which is divided into two or four separate calf pens, each with an area of 1,5m2 inner space. 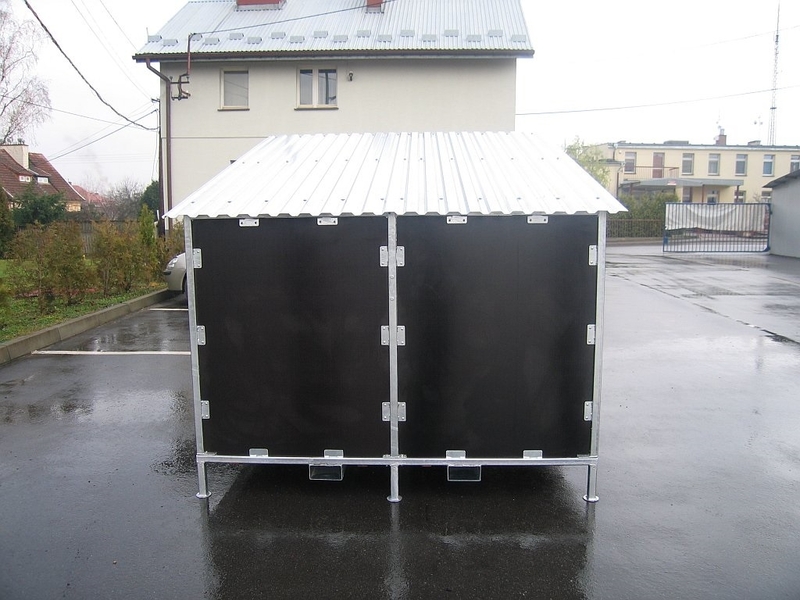 They are made of hot dipped galvanized steel parts which are filled with 12 mm thick waterproof film-coated plywood. 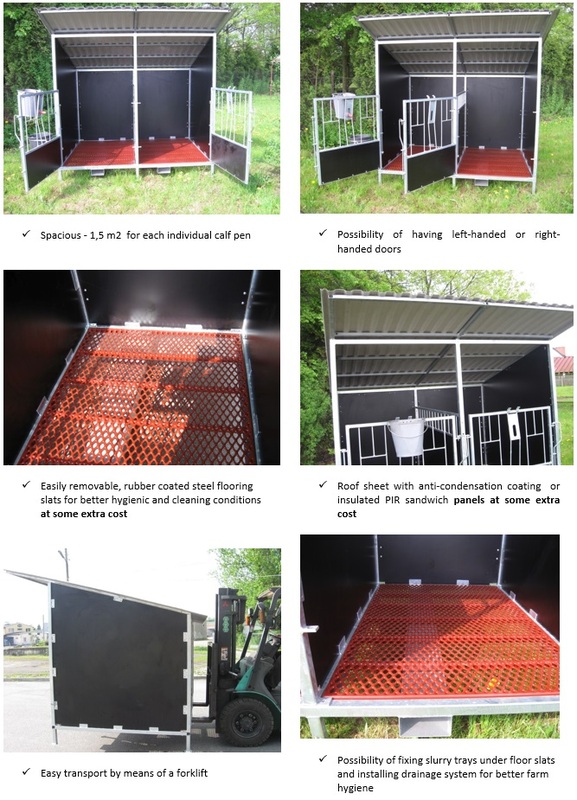 Floors can be made of oak wood or rubber coated steel flooring slats (at some extra costs). 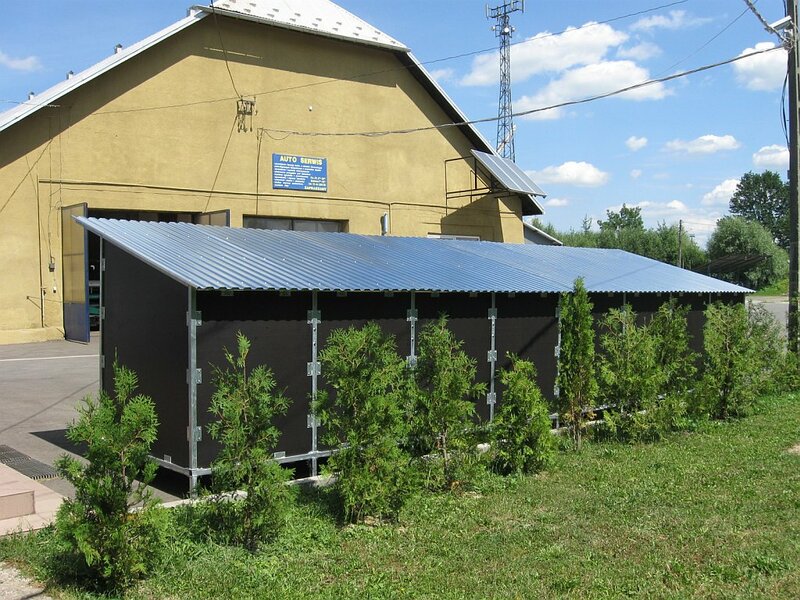 Exterior walls are made of moisture-resistant, film-coated plywood sheets which prevent draught. 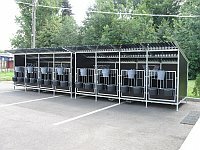 The front doors are equipped with two metal rings for feed containers and one holder for a bucket with milk The whole structure is roofed with trapezoidal roof sheet covered with anti-condensation coating to prevent dripping, which is so extended to cover the containers with food and allow work during rainy days. 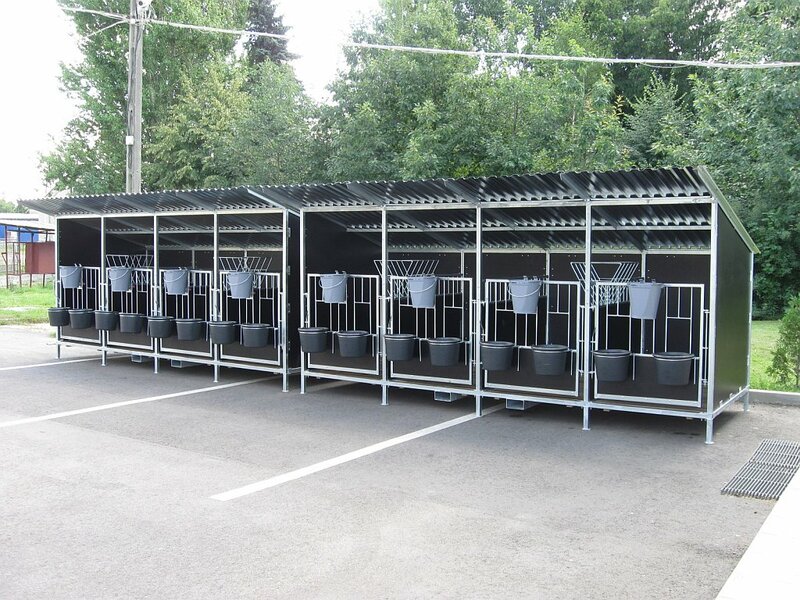 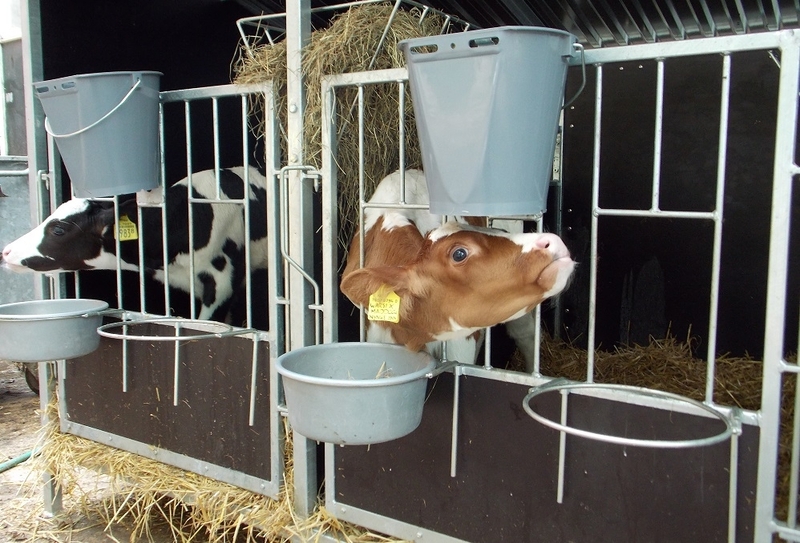 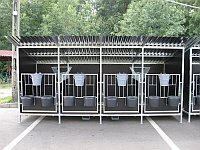 Such calf housing systems can be easily transportable by means of a fork lift and they can be provided in a combination consisting of 1, 2, 3, or 4 individual pens. 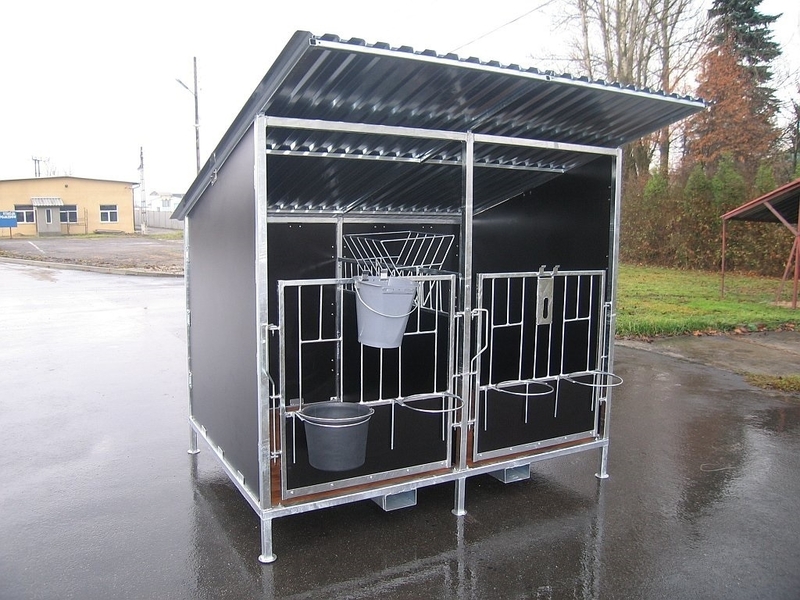 Our roofed calf system meets the Animal Protection Act and Welfare Standards. 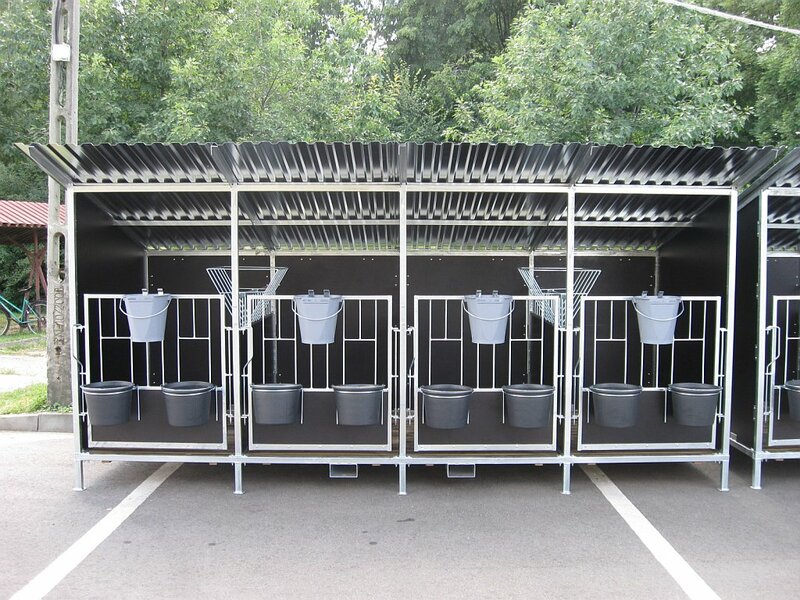 It is designed to improve hygienic and living conditions of farm animals and helps to keep disease-susceptible young calves healthy. 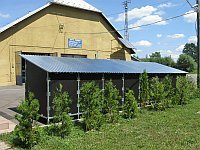 Top light and fresh air access guarantees optimal start into adult life.